I won’t deny it has been a heady week and its time to come crashing back down to earth. But before I get mired down in the day to day of my life I want to take a moment to tell you all how grateful I am for the last week. The week started with one of those days of a life time on my family road trip, many birthday wishes from my IG family and ended with another fun BrickCon with my photo buddies…it’s been an amazing week by any measure. Nestled in this already awesome week was lunch with Julie Broburg a Lego representative from the Mothership. Julie’s job (as I understand it) is to act as a liaison to the AFOL community in all it’s forms, including us legographers. I find it amazing that there is a corporation out there that is interested in what their fans are doing and are willing to support, nurture and learn from that community. I know I can be very wary of Big Inc., but it is hard to disparage a company that values it’s fans as much as Lego does. So thank you Julie for all you do for all the AFOL’s out there. 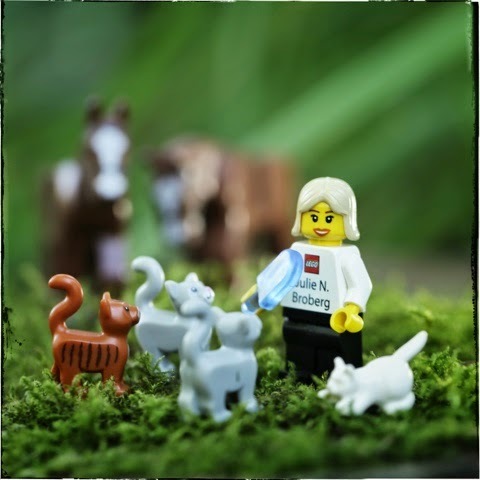 If you get a chance to meet Julie in her travels make sure you go up and say: “Hi” and be sure to introduce yourself as a legographer. Now I have one more thing to be grateful for: I am grateful to be photographing a great product and being a part of the Lego family in my own small way. ps. I am pretty sure +Me2 had other ideas planned for todays post, but since he got caught up at his own Big Inc, you got me instead. We will pick up with our “Why” series later this week. Cheers! I just met Julie at New York Comic Con! She certainly gets around. I invited her sig fig to my Lego sukkah for Sukkot this week.